Bella Hadid looked summer-ready while indulging in her passion for fashion at the Louis Vuitton Men’s Fashion Show S/S 2019 on Thursday in Paris, France. The 21-year-old model showed off her incredible legs in a red-hot sweatshirt and matching track shorts. She accessorized with a leather pouch, large hoop earrings from Jenny Bird, and red suede ‘Eloise’ pumps from Christian Louboutin that you can buy at Mytheresa and Saks Fifth Avenue. 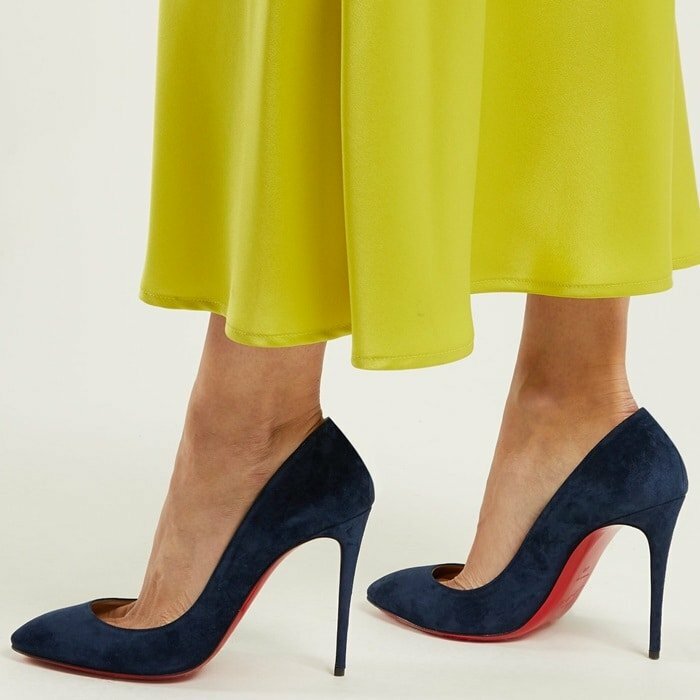 With its fresh take on the classic pump, the Eloise is a versatile daytime to evening companion inspired by a ballerina’s pas de danse, mounted on a 100mm sole. 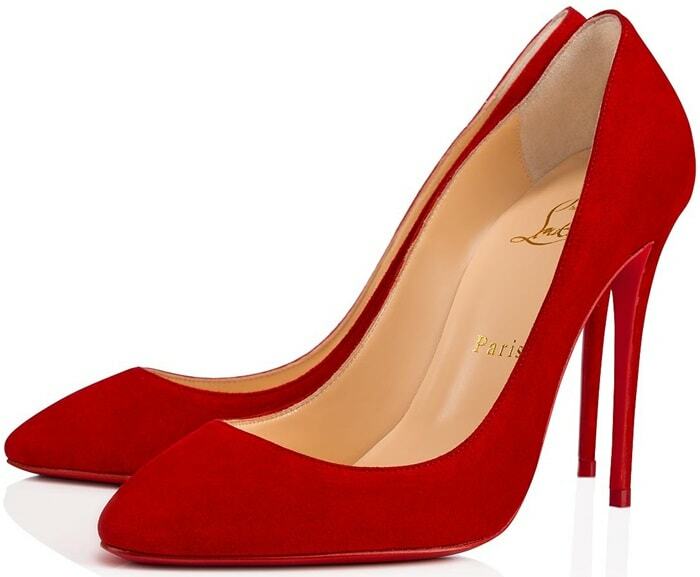 Sport the vibrant red hue that is an immediately recognizable Christian Louboutin staple, a journey back to that storied day in 1993 when the French shoe designer, unsatisfied with a design, used his assistant’s red nail polish to paint the sole, creating an instant success. 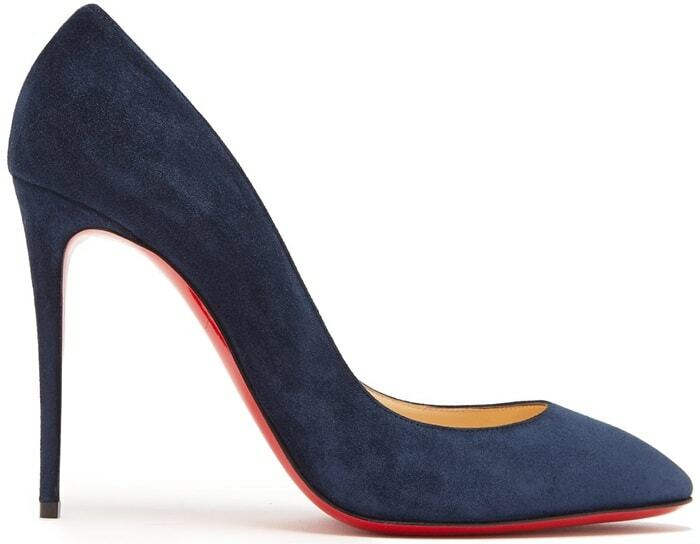 The elegant almond toe of these navy Eloise pumps by Christian Louboutin makes them a flattering choice that will be equally well-suited to the office as they are to evening events. 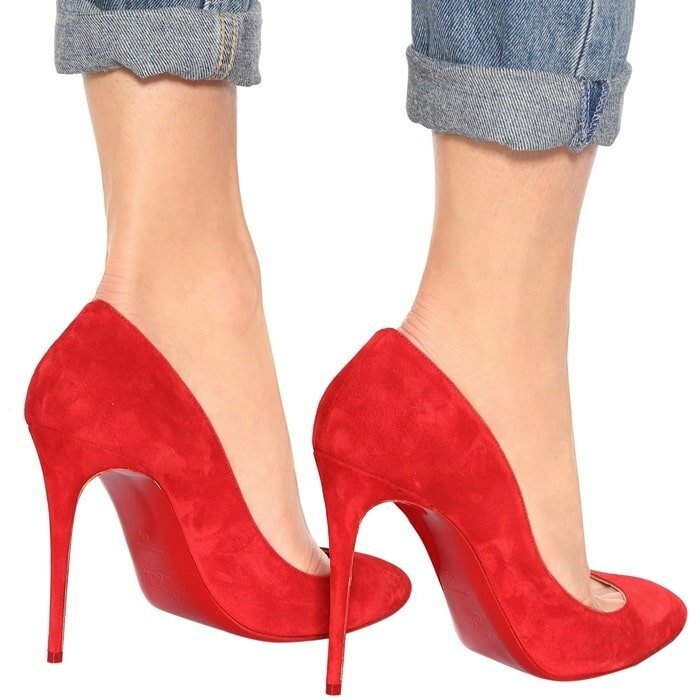 Crafted in Italy from soft suede, they sit on a high stiletto heel and have a low vamp for a leg-lengthening effect. Set them against vivid hues for a confident contrast. 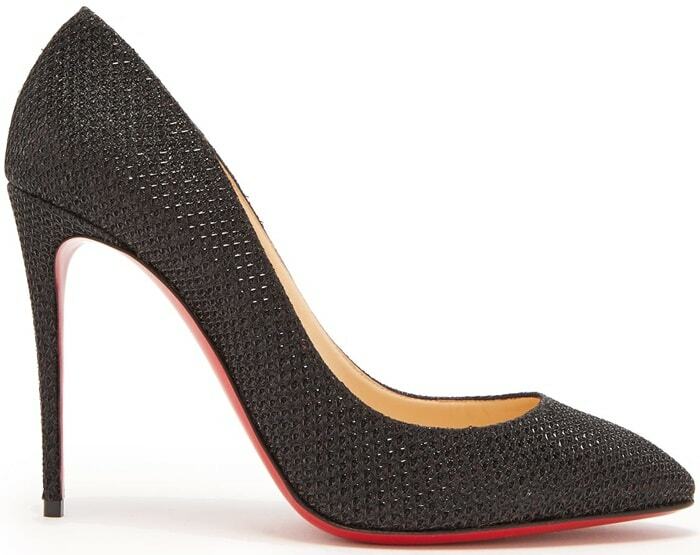 Crafted in Italy from subtly sparkling glitter canvas, Christian Louboutin’s black Eloise pumps are an eye-catching take on the classic pump. 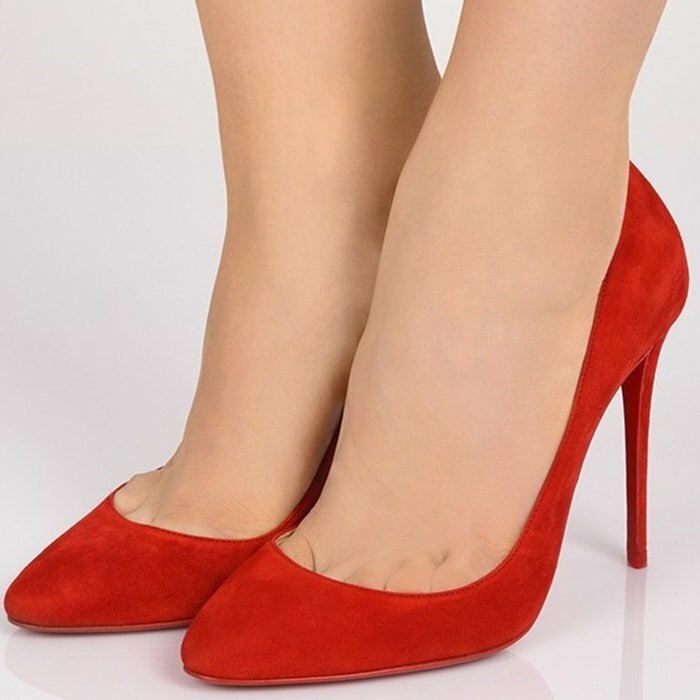 Sculpted to an elegant almond toe, they sit on a high stiletto heel and feature a low vamp for a leg-lengthening effect. 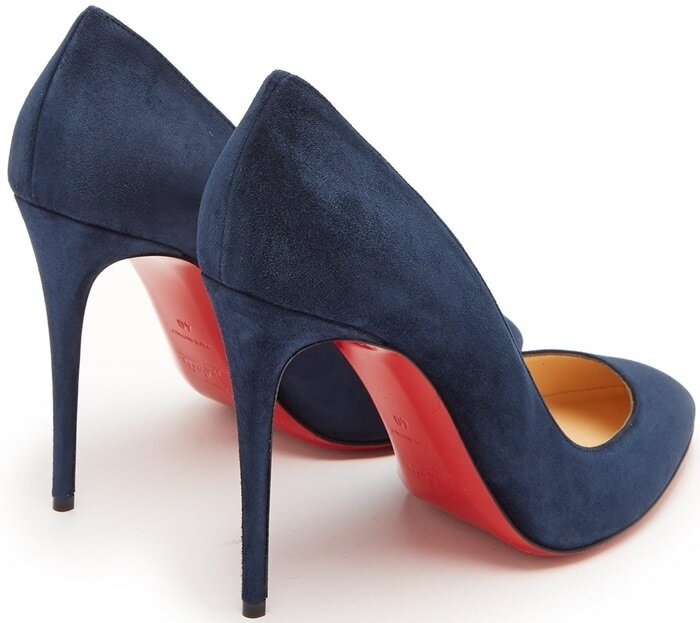 The signature sole will look particularly striking styled with a red dress.